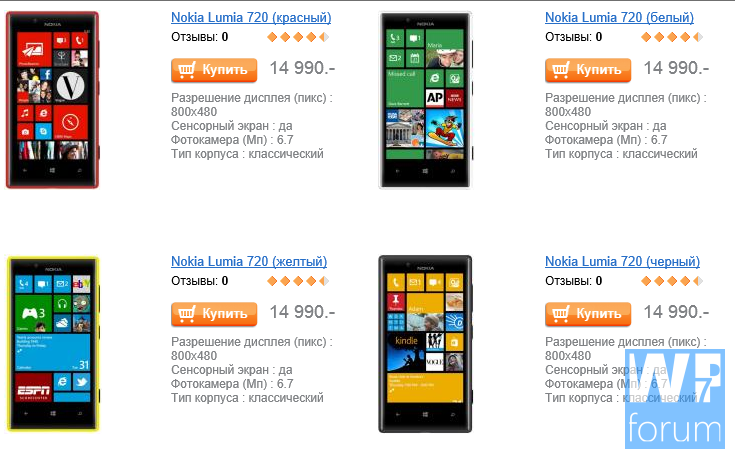 The Nokia Lumia 720 has now raced to pre-order in Russia by he svyaznoi network. The 720, which we saw can take amazing pictures for a mid-range phone is available in four colours-black, white, yellow and red. colours: glossy white, matte — red, yellow, blue and black. Written by: Hyde13 on April 4, 2013.